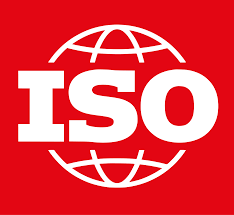 The International Organization for Standardization (ISO) is an international standard-setting body composed of representatives from various national standards organizations. The ISO 19100 is a series of standards for defining, describing, and managing geographic information. Standardization of geographic information can best be served by a set of standards that integrates a detailed description of the concepts of geographic information with the concepts of information technology. The goal of this standardization effort is to facilitate interoperability of geographic information systems, including interoperability in distributed computing environments. The ISO 19100 series of geographic information standards establish a structured set of standards for information concerning objects or phenomena that are directly or indirectly associated with a location relative to the Earth. 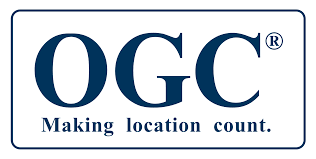 This standard specifies methods, tools and services to manage geographic information, including the definition, acquisition, analysis, access, presentation, and transfer of such data in digital/electronic form between different users, systems, and locations. The framework for the ISO 19100 series of geographic information standards including ISO 19101, Geographic Information Reference model. The framework and reference model cover the more general aspects of the ISO 19100 series of standards. The reference model identifies all the components involved and defines how they fit together. It relates the different aspects of the ISO 19100 series of standards together and provides a common basis for communication. Geographic information services define the encoding of information in transfer formats and the methodology to present geographic information that is based on cartography and the old traditions of standardized visualizations. Data administration is concerned with the description of quality principles and quality evaluation procedures for geographic information datasets. It includes the description of the data itself, or metadata, together with feature catalogs. It also covers the spatial referencing of geographical objects - either directly through coordinates, or more indirectly by use of, for instance, area codes like postal or zip codes, addresses, etc. Data models and operators are concerned with the underlying geometry of the globe and how geographic features and their spatial characteristics may be modelled. This area defines important spatial characteristics and how these are related to each other. Profiles and functional standards consider the technique of profiling. Profiling consists of putting together “packages/subsets” of the total set of standards to fit individual application areas or users. This supports rapid implementation and penetration in the user environments due to the comprehensiveness of the total set of standards. Equally important is the task of “absorbing” existing de facto standards from the commercial sector and harmonizing them with profiles of the emerging ISO standards. The GSDI Association is an inclusive organization of academic and research institutions, government agencies, commercial firms, NGOs and individuals from around the world. The purpose of the Association is to promote international cooperation and collaboration in support of local, national and international spatial data infrastructure (SDI) research and implementations that will allow nations to better address social, economic, and environmental issues of pressing importance, including sustainable development. GSDI today has 32 Organizational Members from 20 countries and over 400 individual members from 55 countries with a high concentration in developing nations. GSDI has Special Consultative status with UN ECOSOC and supports the UN Global Geospatial Information Management (UN GGIM) initiative. GSDI promotes the Open Data Principles of GEO/GEOSS. 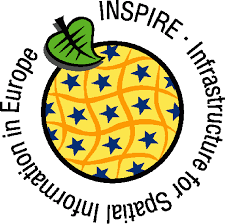 The INSPIRE Directive aims to create a European Union spatial data infrastructure for the purposes of EU environmental policies and policies or activities which may have an impact on the environment. This European Spatial Data Infrastructure will enable the sharing of environmental spatial information among public sector organizations, facilitate public access to spatial information across Europe and assist in policy-making across boundaries. Recent initiatives by the Government, including the IT Act, as well as announced plans for private and public investment, make it clear that within a few years an unprecedented capability will exist for sharing of data along electronic superhighways. Amongst the variety of datasets that would be involved, spatial (or map) information will be a major content. These Spatial information sets are vital to making sound decisions at the local, regional, state and central level planning, implementation of action plans, infrastructure development, disaster management support, and business development. Natural Resources management, flood mitigation, environmental restoration, land use assessments and disaster recovery are just a few examples of areas in which decision makers are benefiting from spatial information. India has, over the past years, produced a rich base of map information through systematic topographic surveys, geological surveys, soil surveys, cadastral surveys, various natural resources inventory programs and the use of the remote sensing images. Further, with the availability of precision, high-resolution satellite images, data enabling by the organization of Geographical Information System (GIS), combined with the Global Positioning System (GPS), the accuracy and information content of these spatial datasets or maps is extremely high. Encapsulating these maps and images into a National Spatial Data Infrastructure (NSDI) has been recognized and the emphasis is on information transparency and sharing, with the recognition that spatial information is a national resource and citizens, society, private enterprise, and government have a right to access it, appropriately. Only through common conventions and technical agreements, standards, metadata definitions, network and access protocols will it be easily possible for the NSDI to come into existence. (1) Mainly consists of spatial data-map and image data from different NSDI agencies. This could be at different scales- 1:250K to 1:10K through 1:50k and 1:25k. (2) Includes the Metadata format that is compliant to most (if not all) GIS packages. Thus the NSDI database engine will have to be an independent one. (3) Needs to be web-enabled so that online access of nsdi.org is possible. This will at least open up information about spatial data availability. Realization of National Spatial Data Infrastructure (NSDI) is the current national focus. 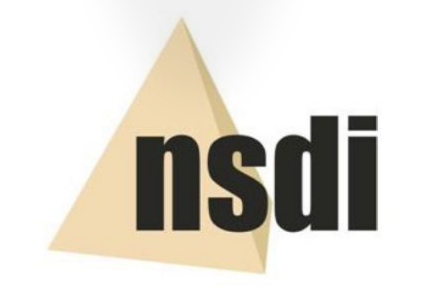 NSDI is proposed as a single window mechanism for providing access to the spatial data being generated and managed by various agencies in the country. It is visualized as a network of databases consisting of the domain-specific datasets/products created and managed by various agencies like Survey of India, Geological Survey of India and a central database having metadata to be managed by NSDI secretariat. The format described here under, has evolved from the Digital Vector Data (DVD-3) format, which was earlier designed as the National Standard Exchange Format for Survey of India digital Cartographic vector data. This format catered for point, line and polygon topology describing relationships among spatial features. The currently proposed format has the provision to include digital images acquired by satellites and Digital Elevation Model (DEM) and coded raster data. Furthermore, the NSDE format also accommodates various types of thematic data sets along with the associated attribute data in tabular form. The data in NSDE Format will be supplied to users as a set of files. When supplying the data on media all the files would be copied unlabeled in the same sequence with the End-Of-File (EOF) mark after each file and one extra EOF mark at the end of all files to indicate the end. In case the dataset cannot be accommodated in one media, the files will be copied sequentially into additional media which will be serially numbered and indicated in first file. This standard specifies many aspects that are or should be, common to all or multiple OWS interface Implementation Standards. Those specifications currently include the Web Map Service (WMS), Web Feature Service (WFS), and Web Coverage Service (WCS). Encoding of operation requests and responses. Catalogue services support the ability to publish and search collections of descriptive information (metadata) for data, services, and related information objects. Metadata in catalogues represent resource characteristics that can be queried and presented for evaluation and further processing by both humans and software. Catalogue services are required to support the discovery and binding of registered information resources within an information community. OGC Catalogue interface standards specify the interfaces, bindings, and a framework for defining application profiles required to publish and access digital catalogues of metadata for geospatial data, services, and related resource information. Metadata act as generalized properties that can be queried and returned through catalogue services for resource evaluation and, in many cases, invocation or retrieval of the referenced resource. Catalogue services support the use of one of several identified query languages to find and return results using well-known content models (metadata schemas) and encodings. This standard specifies the interfaces and a framework for defining bindings and application profiles required to publish and access digital catalogues of metadata for geospatial data, services, and related resource information. These Catalogue Services support the use of one of several identified query languages to find and return results using well-known content models (metadata schemas) and encodings. This standard is applicable to the implementation of interfaces on catalogues of a variety of information resources. The target audience for this standard is the community of software developers who are implementers of OGC compliant Catalogue servers and clients. The OpenGIS® Web Map Service Interface Standard (WMS) provides a simple HTTP interface for requesting geo-registered map images from one or more distributed geospatial databases. A WMS request defines the geographic layer(s) and area of interest to be processed. The response to the request is one or more geo-registered map images (returned as JPEG, PNG, etc.) that can be displayed in a browser application. The interface also supports the ability to specify whether the returned images should be transparent so that layers from multiple servers can be combined or not. This international standard specifies the behavior of a service that produces spatially referenced maps dynamically from geographic information. It specifies operations to retrieve a description of the maps offered by a server to retrieve a map, and to query a server about features displayed on a map. This standard is applicable to pictorial renderings of maps in a graphical format; it is not applicable to retrieval of actual feature data or coverage data values. Symbology Encoding is an XML language for styling information that can be applied to digital Feature and Coverage data. This is together with the Styled Layer Descriptor Profile for the Web Map Service Implementation Specification the direct follow-up of Styled Layer Descriptor Implementation Specification 1.0.0. GeoRSS is designed as a lightweight, community-driven way to extend existing RSS feeds with simple geographic information. The GeoRSS standard provides for encoding location in an interoperable manner so that applications can request, aggregate, share, and map geographically tag feeds. GeoRSS is a simple approach for geo-enabling, or tagging, "really simple syndication" (RSS) feeds with location information. GeoRSS standardizes the way in which "where" is encoded with enough simplicity and descriptive power to satisfy most needs to describe the location of Web content. GeoRSS is extensible and upwardly-compatible with more sophisticated formats like the OGC Geography Markup Language (GML). The initial goal of designing and documenting GeoRSS was to keep the encoding of geography on the Web from fracturing into various encodings the way RSS ended up, with multiple similar implementations. GeoRSS is also intended to be a lightweight way to express geography in other XML-based formats – including XHTML.